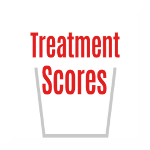 Treatment Scores, Inc. uses its Treatment Score Analyzer™ to produce treatment scores. Imagine that you get a life and death illness and that you could have surgery, radiation, chemotherapy, or 10 other treatments when you consider all of Western Medicine, Eastern Medicine, herbal therapies, and every other alternative medical treatment. When our vision is realized, you will be able to go to TreatmentScores.com, find a diagnosis, and see a list of every treatment ever mentioned in the medical literature all arranged by their treatment scores. You will be able to click on the treatment scores to see the supporting statistics and medical references behind them. Thus you will be able to see the "Science of Medicine" behind the treatments. We hope to bring evidence-based medicine to the masses by allowing access to our educational tools. DISCLAIMER: Our website of treatment scores will be for educational purposes only, you must see your own licensed medical physician for diagnosis and treatment. We say this because understanding the science of medicine behind treatments is only the staring point for a discussion with your physician.